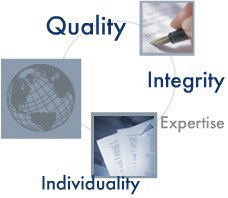 Whether you need to have your documents reviewed by a native speaker, have questions regarding proper grammar and style usage, or require assistance in producing a complex document, Executive Translations is your solution. We provide language, style, and content editing services for all types of documents. Our language specialists will help you prepare and streamline documents for presentation or publication, such as business proposals, marketing material, or Web content, to achieve maximum effectiveness. In the case of documents intended for an international audience, we carefully consider cultural differences and check the accuracy of industry-specific terminology in order to ensure that your text is well suited to the target audience. Whether your needs are linguistic, stylistic, or content-related, you can depend on our linguists to help you to produce high-quality, professional documents.